Shop for a ravishing online bouquet of 12 Pink Carnations in a tissue & leave them wanting more. Shop for a ravishing online bouquet of 20 Pink Carnations in a tissue & leave them wanting more. 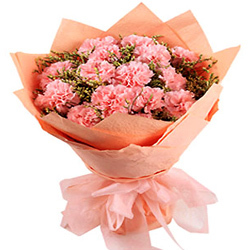 Shop for a ravishing online bouquet of 30 Pink Carnations in a tissue & leave them wanting more.